Welcome to the second installment of the Fishbowl Think Tank. We’re going to keep talking about Fishbowl 2011 because it was just released a few days ago. Be sure to get your copy of our newest inventory software today! In addition to Fishbowl 2011’s many new features, it runs much faster than any previous software version. Forty percent faster than Fishbowl 2010, on average, according to an internal test we ran a few weeks ago. Fishbowl is committed to constant improvement. A crafty Fishbowl automated tester named Greg Doermann took the time to measure exactly how long it takes to create, load, update and delete specific modules in Fishbowl Inventory. In almost every category, the newer version is significantly faster. Many of the time differences seem small, but they’re actually relatively big because the previous version was already quite fast. Keep up with all of the new product features Fishbowl adds to each release on the Fishbowl Wiki in the Fishbowl Inventory release notes section. Large and small businesses use inventory management software to save time. That’s why it’s so important to Fishbowl to keep increasing our software’s efficiency. 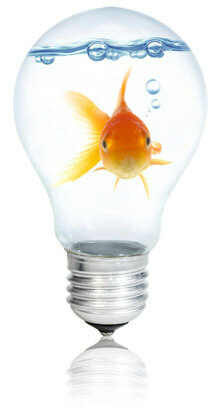 Time is money, and many businesses are learning what a great investment Fishbowl Inventory is. Get a free trial of Fishbowl to see for yourself why it’s the #1-requested inventory management solution for QuickBooks. When you leave a line note on a Purchase order, it doesn’t show up on the PO Report. Thank you for pointing that out. I’ll talk to the development team and see how to fix that. You can select to show the column “item number and description” and remove the option to show item number and description as individual columns and then the line note will show up in the PO Report. That’s a great test. When I first saw the title of this blog I thought, “40%?? How did you come up with that number?” Our client’s sales personnel, especially the ones running over VPN, could really use that improvement. Thank you for reading this blog post and sharing your comment. Every computer is different, so I suppose speed increases may vary for different users, but the important thing is that they’ll definitely see an increase in speed and efficiency. I should remember to talk about things like this when talking about technical subjects. Our development team did a great job making our software even better for the Fishbowl 2011 release. They wanted to quantify their efforts by showing that it’s 40% faster in several tests they ran. Even if you can’t time the difference on your computer, you’ll probably see a big difference by just using it like you always do. Thanks again for your comment, and have a great day! Check out a YouTube video we recently posted about Fishbowl 2011 and its QuickBooks inventory features. There’s a lot of great stuff in the new release, and you can find out about it in that video.